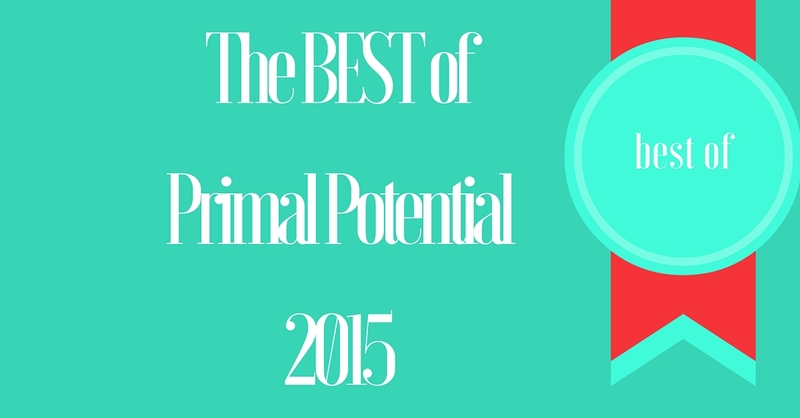 I thought it would be fun to do a compilation of the best of Primal Potential from from 2015 with the most popular blog posts and podcast episodes. If you have a favorite that didn’t make it to the top of the list, make sure to tell me what you loved in the comments!! What was YOUR favorite podcast episode or blog post? Which ones were the most helpful to you in 2015? But even more importantly than that – if there is a topic I haven’t hit yet that you want to hear about, make sure to let me know so I can tackle it to start the new year! #3 Q&A 5: What Is Bulletproof Coffee & Why Do You Drink It? Don’t miss another Primal Potential moment! Let’s work together to crush your goals in 2016! We’ve got a bunch of great stuff happening! I kicked off the New Year with a detailed training on how to identify what is holding you back & permanently overcome it. Don’t miss the encore presentation! I’m going to really be pouring value, tips, recipes & strategies into the folks on the free VIP email list. Are you on it yet? If not, don’t miss another week!